My kids came home from school yesterday and explained that they spent the day watching Finding Nemo and hitting the beach. While I love a good fish movie and quality outdoor time, it is clear even the school is ready for summer. While some kids like to take a break from all learning over the summer, I am a true believer in teaching kids to embrace summer learning by letting them choose what they want to read. Here are some tips and exciting contests from IndigoKids for getting your kids summer ready with a summer reading guide. Kids’ reading levels often go down over the summer simply because they aren’t reading enough. The best way to ensure they read is to let them pick books that interest them. IndigoKids is helping out with this task by introducing the Passport to Reading summer reading guide. The guide is chocked full of expertly picked titles for every level of reader. 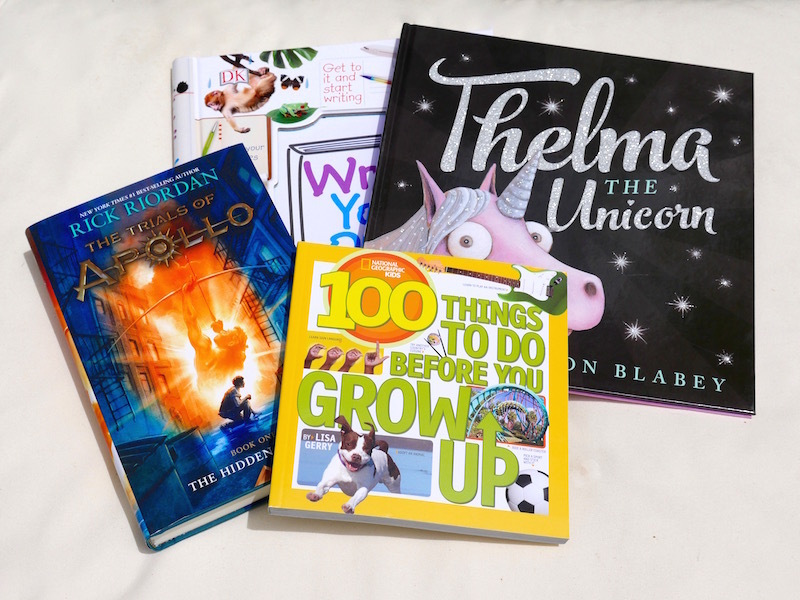 What I love most is that the books chosen all inspire adventure which will keep your kids happy and their imaginations active all summer long. To make it even easier, IndigoKids is offering additional Plum Points, free shipping to your home for orders over $25 as well as personalized recommendations when you tweet using the hashtag #AskIndigo. 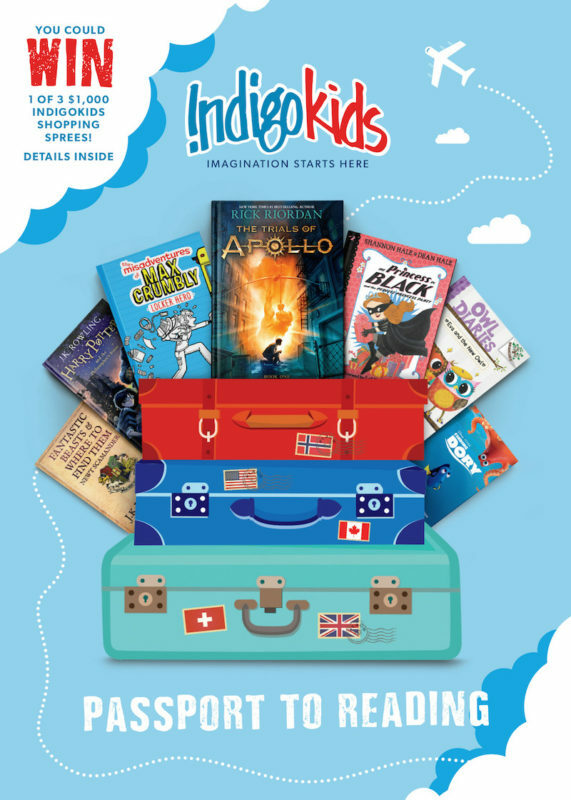 Indigo is hosting two summer contests, one for kids and one for everyone to ensure kids aren’t the only ones having fun this summer. IndigoKids is giving away 3 $1000 shopping sprees. To enter, all you need to do is head to any Indigo, Chapters, Coles, or Indigospirit store and pick up a postage-paid postcard. Fill out the card with the books your family wants to read this summer and pop it in the mail to enter. You can also enter online here. With Canada Day just around the corner, Indigo is starting a new movement called #ReadTheNorth. The movement hopes to introduce Canadians to incredible Canadian authors and their works. To enter, Canadians are being asked to share a photo on Instagram from June 29 and July 31 using #ReadTheNorth that shows how and where they are reading their favourite Canadian works. Anyone who tags @chaptersindigo in the photo and uses the hashtags #ReadtheNorth and #contest will be entered to win a $500 Indigo gift card. 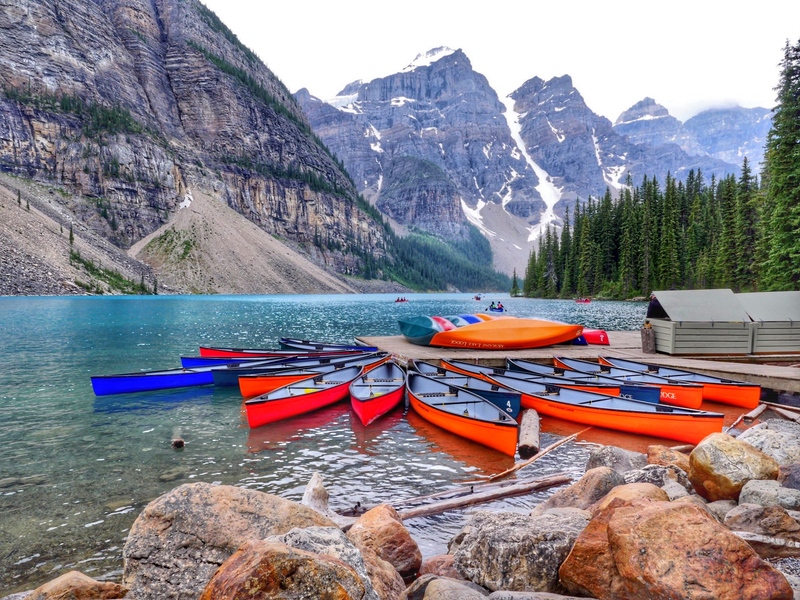 Some of my favourite recent Canadian reads include Station Eleven, a post-apoctalyptic read that begins in Toronto written by Emily St. John Mandel and The Hole in the Middle, a fun summer read from local Toronto author Kate Hilton. I actually love Station Eleven so much that I keep additional copies at my house in case people stop by who haven’t read it. On Saturday June 25 at 11:00 am, all Indigo and Chapters locations will kick open their doors for a School’s Out…Reading is In event. The event is free and recommended for school age kids 6-12. The event will include giveaways, samplers, activities and more. 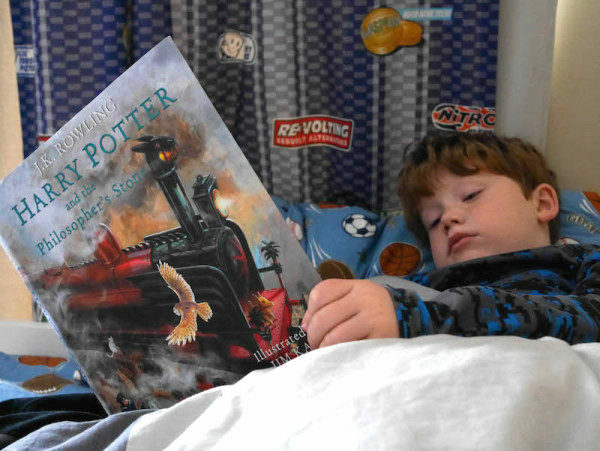 It is also a great time to pick up your Passport to Reading postcard and check out the new summer releases including the highly anticipated release of Harry Potter and the Cursed Child which you can pre-order now before its July 31, 2016 release date.